There’s so much wrong with this movie. Announced several years prior to its release, the anticipation was so huge that the eventual letdown was nearly inevitable. There was a 16-year gap between George Lucas’ release of Return of the Jedi and this film. Everyone was so excited to see it. Yet, all it will really be remembered for is the horrible character, Jar Jar Binks. To me, it wasn’t just the bad (Jar Jar, a 15-minute CGI pod race, too many computer animated characters, etc.) it was also the good that was wasted. Lucas introduced us to Darth Maul…the coolest, baddest villain since Darth Vader. And yet, he was killed off after 5 or so minutes of screen time. Waste. The great Liam Neeson starred as Jedi Master Qui Gon Jinn, and though he played a prominent role in the film, he too was killed off. To recap: 5 minutes of Darth Maul. Probably 30 minutes of screen time for Jar Jar. This film was a mess, and really the only one in the series I would totally not recommend viewing. In light of what J.J. Abrams and company have done with the franchise in recent years, it’s fair to say George Lucas’ prequel films have aged like an old pair of socks. In fairness, even though Episode I was considered a letdown by most, it wasn’t universally panned back then the way it is now. With that said, anticipation for 2002’s Episode II was quite high. Whether spoken or not, I think most Star Wars fans simply figured, it’s got to be better than the last one! When the title for the film was revealed, lets just say the film started off with one strike against it. 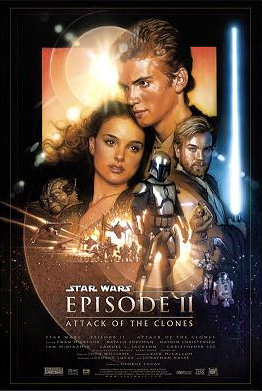 “Attack of the Clones” sounded a lot like “Attack of the Killer Clowns.” Folks were ripping it before it even hit the screen. Well, the good news is that it was better than Episode I. The bad news is that it still wasn’t very good. Lucas attempted to try something he did in the past….hire a young, limited-talent actor to play the lead. Though a young Mark Hamill certainly displayed his acting limitations in the original films, there was something likeable about both him and his character, Luke Skywalker. You pulled for him. You saw past his acting deficiencies. The same could not be said for Hayden Christiansen and his portrayal of young Anakin Skywalker. He didn’t come across as likeable, and his poor acting became more and more noticeable as his Star Wars tenure ensued. This film was not without good moments. The most poignant for me was the scene when Anakin brutally slayed a group of Tuskin Raiders (Sandpeople) after he discovered his mother’s death. It was our first true glimpse into the dark side of young Anakin’s soul and an excellent use of foreshadowing for the character’s path. That said, saying I liked this film more than Episode I is like saying diarrhea-flu is better than vomiting-flu. Neither one is fun. One is just not as bad as the other. From here on out these are all must-see films in the Star Wars universe. I may have liked five films more than this one, but I still enjoyed Jedi. 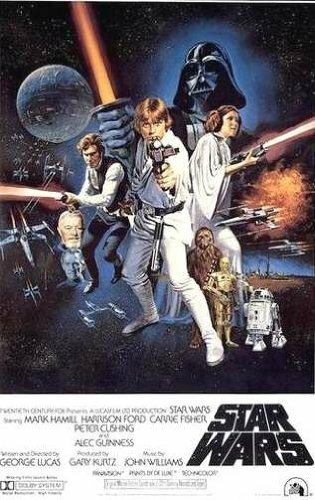 Between the Ewoks and all that Jabba the Hutt’s palace offered, I probably liked it more when I was 8-years-old than I do at 42, but it was still good. 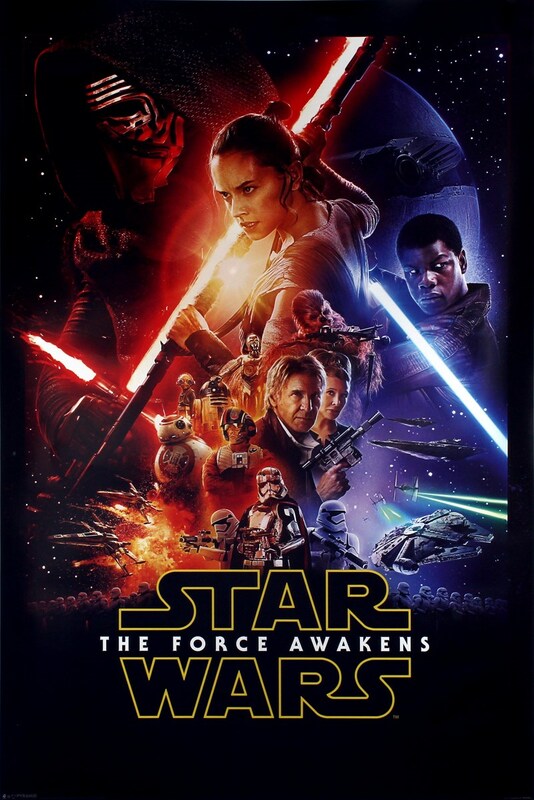 To me, the highlight of this film was witnessing the transformation of Luke Skywalker. Gone was the naive, conflicted boy. From his opening scene at Jabba’s palace, here we saw a badass Jedi man. Finally seeing the Emperor in action was fantastic as well. Like most folks, I never thought there would be any Star Wars films made after this one. Had that been the case, it had a great ending. The victory celebration on Endor was great. A proper would-be sendoff to a great trilogy of films. Ok, I know, Star Wars purists will kill me for putting a Lucas prequel film ahead of one of the original 3. Well, for the first near-two hours of this film, there’s no way I would have. Then the last 15 minutes happened. Sure, the fight between Yoda and the Emperor was really cool, but the long-awaited and well-known final battle between Obi-Wan Kenobi and Anakin Skywalker was downright epic! If there was one saving grace over the course of Lucas’ prequel films, it was the presence of Ewen McGregor and his portrayal of young Obi-Wan. He was great from the onset, and just grew into the character and got better and better as the films went on. 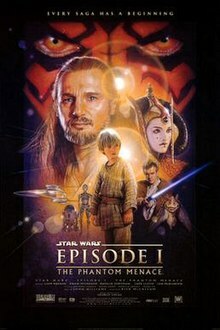 By the time this film was winding down, I was so ready to see Obi-Wan lay a beat down on Anakin, and boy oh boy did he deliver! 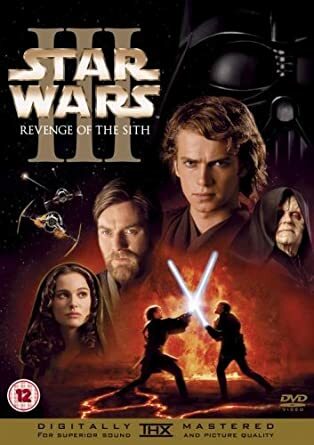 The fight scene alone was tremendous, but seeing what happened to Anakin and how the Emperor put him back together and essentially created Darth Vader was such a payoff. 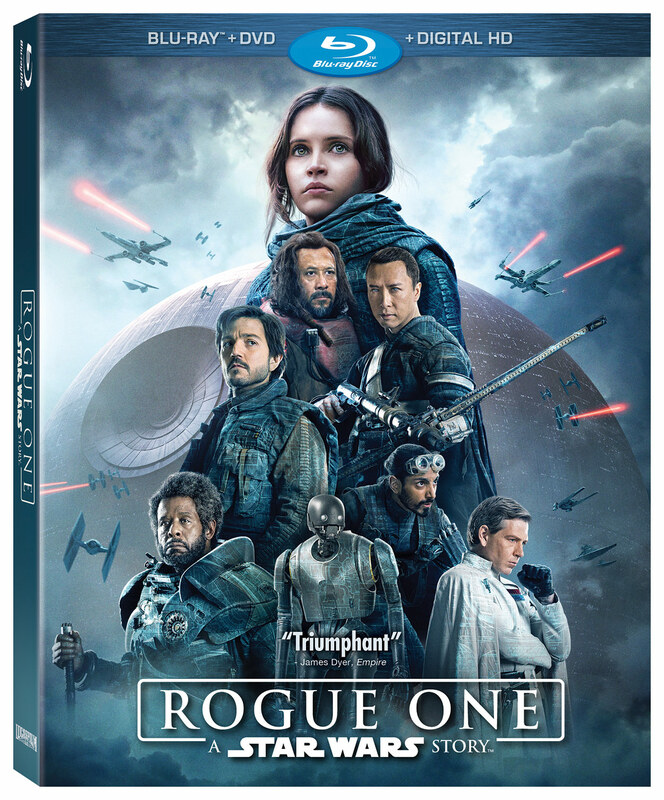 It took Lucas two bad films and a mostly uninteresting third, but in the end he finally….finally, delivered. Seeing how Leia and Luke ended up where they were was an excellent tie-in to the original series as well. I mean, we knew how all these things happened, but to finally see them on the screen was such a treat. I recall being unhappy when I first heard about this project. Since Disney bought the rights to LucasFilm they had been using the franchise more than a pimp used a 1970s midtown-Manhattan prostitute. You walk into your local mall’s Disney store and suddenly you’d see more Darth Vader dolls than Mickey Mouse. I figured this was another example of them bleeding the brand. For this reason, I didn’t bother to see it in the theater. Yet, I heard so many great things from friends and film critics, that I made a point to buy it the day it came out on video watched it that evening. Wow was I impressed! You want to talk about tie-ins. My first thought after viewing this film was that I wanted to instantly put in the 1977 original and continue the movie. It literally butted right up to “Episode IV.” To think they could make a new movie nearly 40 years after the original and yet it fit so seamlessly and perfectly with it…what a feat! It was a different sort of Star Wars film. To say it was darker would be an understatement. I think there’s a larger body count in this film than all the others put together. It wasn’t graphically violent mind you, but it was certainly violent. Sure, the names and faces were different, but those of us who knew and loved the ’77 original film knew exactly what these characters were attempting to do and what was at stake. The Vader scene was an all-time classic. And how about bringing back actor William Cushing from the dead? Grand Moff Tarkin’s scene was so eery. I thought it was amazing technology, but I’d be cool with that sort of thing not becoming the new thing. If I see a 30-year-old Robert DeNiro in a new film in 20 years, I think I’ll find that a bit unsettling. If you’re my age, loved the original Star Wars films, and didn’t love this one, something’s not right. I walked into the theater hoping I’d enjoy this film. I walked out dancing on Cloud Nine! First J.J. Abrams brilliantly resurrected the Star Trek franchise, and now he turned around and made the best Star Wars film since 1980. I loved nearly everything about this movie. First, the look of the film. Aside from the weak plots, what always bothered me the most about Lucas’ prequel films was his overuse of CGI. Sometimes I couldn’t tell if I was watching a movie or a video game. Sure there was still CGI in this film, as would be expected with today’s technology, but Abrams also brought back the look of the original films through costumes and models on backdrop screens. The look really brought me back to the Star Wars films of my childhood. I loved the new, young actors. Much like a young Carrie Fisher, Harrison Ford, and Mark Hamill, these new actors were likeable and did a great job. I also dug that Adam Driver, the actor who portrayed Kylo Ren, was a kid I knew from when he was in high school. I can’t recall if he was actually a student of mine back in the late ’90s at Mishawaka High School, but I remember him. Pretty cool seeing him now as the main bad guy in a half-a-billion dollar film! Lastly, there was Harrison Ford. When I heard he was on board with the project I feared he was only in it for the massive paycheck and would just go through the motions (ala Indiana Jones 4). Pleasantly, that wasn’t the case. He perfectly slid back into a character he hadn’t played in over 30 years. He was Han Solo, not just some washed up actor playing an old character. It was great to see him like this. I miss when Harrison Ford made great movies. So look, I know this was the best Star Wars movie. I get it. So why #2? I’ll get to that. There’s not much I need to say about this one. The film’s title says it all. The Empire did strike back. They won in a big way in this one. Luke loses a limb. Han gets turned into a cryogenic ice rectangle. Yes, the bad guys definitely won this round. The action scenes were great. The introduction to Yoda was legendary. I never get sick of watching this film. In fact, if you recall, in the mid-nineties George Lucas tweaked his original films, making some subtle and not so subtle changes. I didn’t like any of the changes he made to Star Wars or Return of the Jedi, but I loved the tweaks he made to Empire. Particularly, the added scenes with the snow monster. He made a great film even better. Of course this film had the huge “great reveal” of Darth Vader being Luke’s father. That was certainly a game-changer at the time. All and all, just a fantastic film and probably the best sequel (as it was considered at the time) ever made. There’s my humble and amateur film critic’s take on the series. I look forward to seeing the latest installment to see where “The Last Jedi” will fit in this assessment. So what do you think about my rankings? Similar to yours? Way off? Let me know. After 5 months off, I’m hoping to stay more active at victorlovisa.com moving forward. Thanks for reading!!!!!! !